Had an early lunch at Amoy Food Centre today in order to beat the office crowds that throng the place during the peak hours of 12-2pm. 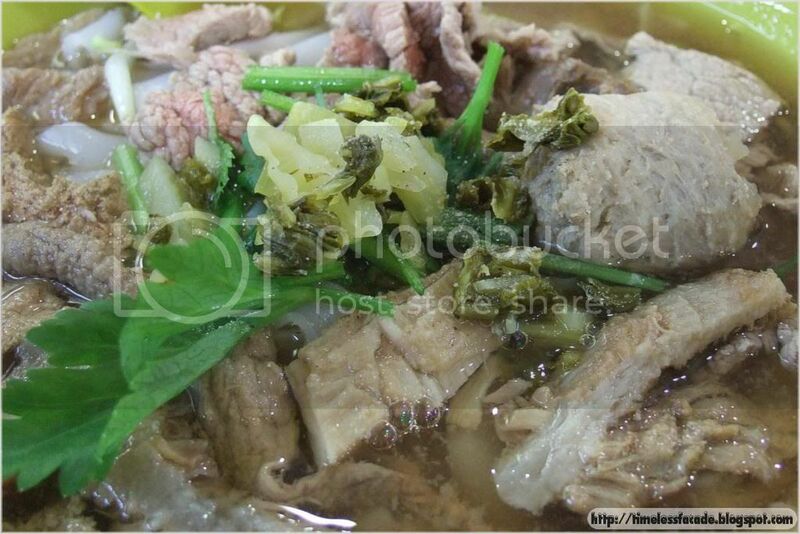 Had a craving for Beef Kway Teow so bought myself a bowl of Mixed Beef Kway Teow to try. Look at the amount of ingredients! 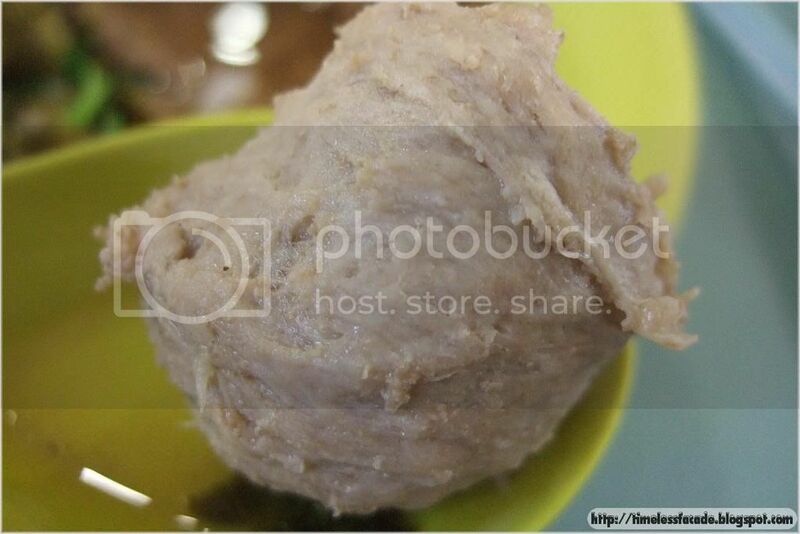 Notice how fibrous the Beef Ball is? $3 gets you a huge bowl of Kway Teow with a generous serving of ingredients (although I would have liked more beef balls - only 1 was given). The soup was light on the flavours, yet strong enough to whet my appetite. Kway Teow was pretty normal. The outstanding parts of this dish were the beef slices and beef balls. 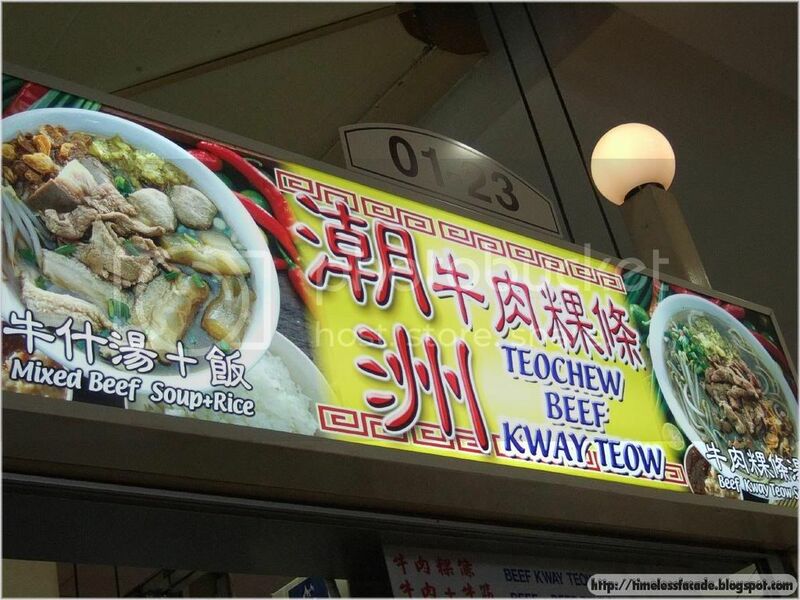 The beef slices were sliced just right, slightly chewy and with a natural beef taste, something which is lacking in alot of the Beef Kway Teows nowadays. The beef balls were in the same league. Fibrous and chewy, the juices literally burst out when I bit into it. The beef balls are hand made, which explains the quality and texture. No more lousy machine made supermarket beef balls for me. The other stuff like tendons, liver etc were pretty normal. If you request for beef slices and beef balls only, you get lots of beef coupled with 4 beef balls. Now that's a good deal! 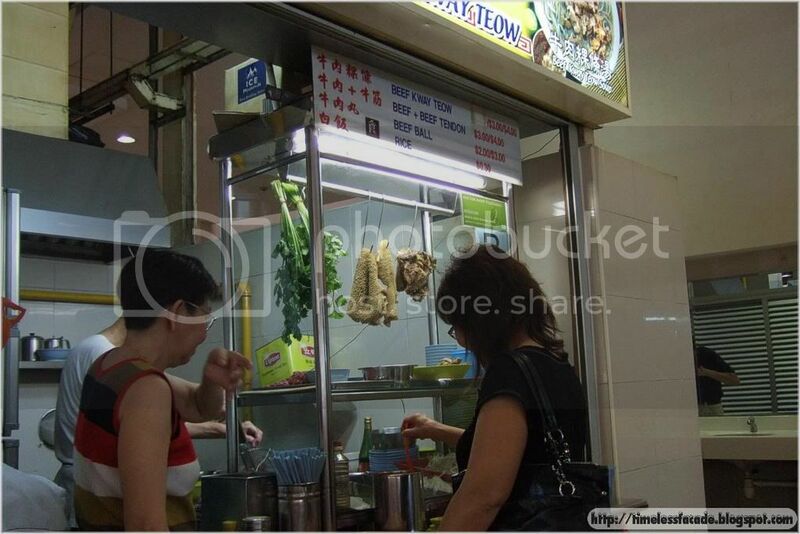 Definitely must try out this stall if you are at Amoy. A pity they are closed in the evenings.